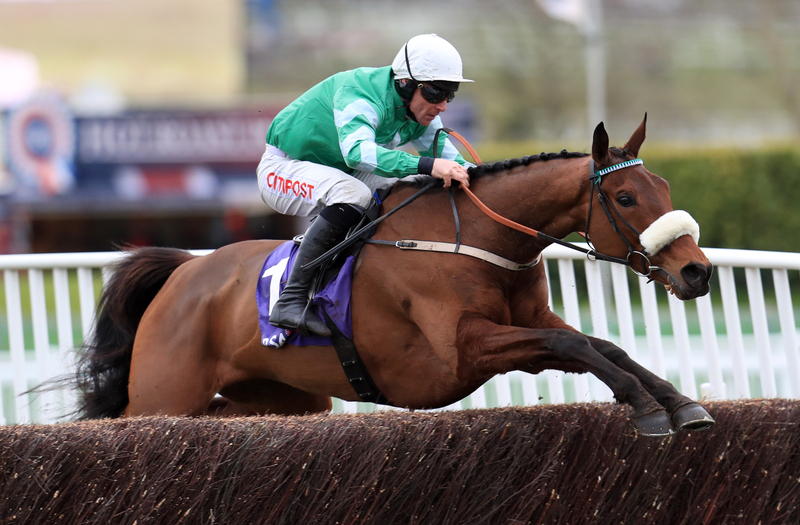 Davy Russell admits the test presented by Sunday’s John Durkan Memorial Punchestown Chase is “not ideal” for Cheltenham Gold Cup favourite Presenting Percy. Pat Kelly’s charge as a brilliant winner of the RSA Chase at Prestbury Park in March, his second Festival success having landed the Pertemps Final 12 months earlier. The seven-year-old is a best priced 5-1 market leader for the Gold Cup and is due to make his eagerly anticipated seasonal reappearance this weekend. However, he is set to return over two and a half miles and Russell views the Grade One contest as more of a starting point than anything else. “Pat’s not confirmed it 100 per cent yet, but he’s planning to run him,” the jockey told At The Races. “It’s early days yet and the weekend will tell a lot. It’s not ideal – it’s two and a half miles around Punchestown. There will be other days later in the year where we can get a true test of the Gold Cup field. “It’s a very competitive area, so he’ll have to be at his very best every day he runs.